LSI Portsmouth Blog: What a Year 2017 Has Been! Here we are again, at the end of the year, wondering where it went. Well if you cast your eyes over the pictures and scan the text below, you’ll see a lot has happened this year, it’s been pretty packed. So let’s have a look at what has been going on this year. We started the year with some great tips on ‘How to Improve your English Speaking’. We showed off our brand new logo – all that ‘New Year and a fresh new start’. We also started the year looking for new teachers to increase our great team. Once again we had more tips to help our readers with their English skills, this time on ‘How to Choose the Right Business Course’. We were really proud to have a professional video company ask to use some clips from one of our videos for their promotional video of Portsmouth. We launched a new cute video of clips of students saying what they liked about LSI Portsmouth. Down in the coffee area, we opened our Social Hub, a great fun place to go and have a chat or find out about what is going on with the social programme. This month had a delightful blog about some Russian students from Ivanovo (ISPU) University who had been with us for some time. They all wrote a personal account of their time here, with one of them saying that it had been their childhood dream to visit England ;-). We had a cute ‘competition’ where we asked our students to describe certain areas of their stay in one word. A blog explaining ‘Business English’, sometimes some of the things we take for granted are just not clear to others, so this was an explanation of what one could expect on a Business English course. Our Culture blog this month was on the ‘Great British breakfast’ – possibly famous throughout the world, if not, it certainly should be! IELTS continues to be incredibly popular, so this month we had a lovely explanation blog about ‘IELTS and What It Is’. 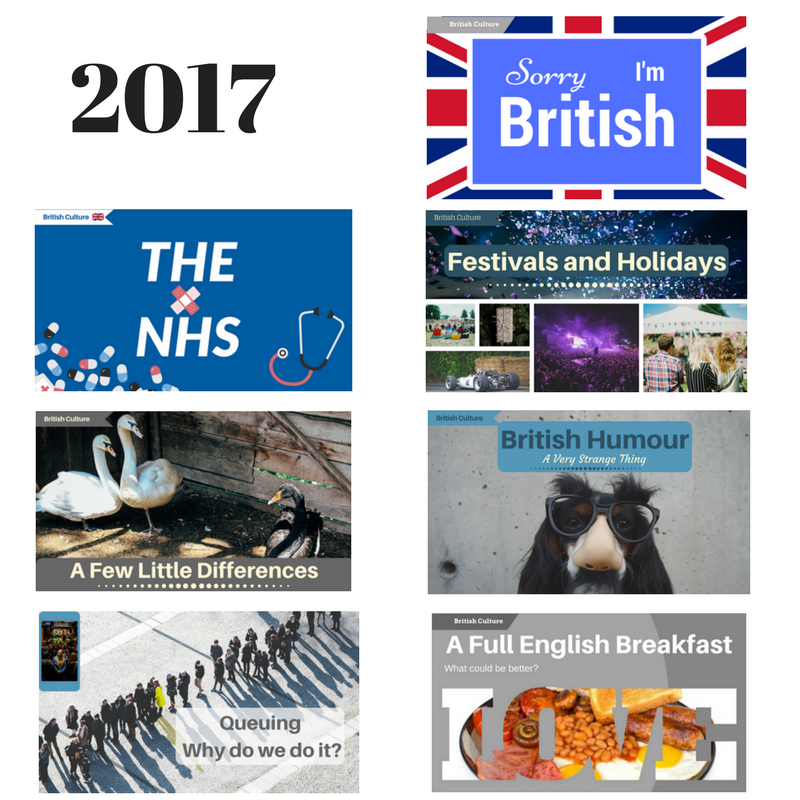 We had a couple of Culture blogs this month, one about ‘Queuing’, and the other on some of the ‘Festivals We Celebrate in the UK’. A blog about ‘Having Fun while Learning English’ – showing some of the various fun activities that happen on our very popular 30 plus courses. Starting the summer off, we had ‘The Benefits of Learning English in England During the Summer’ as a topical post this month. A ‘Spot the Difference Competition’ with aerial views of LSI Portsmouth in the past and LSI Portsmouth today. As we had been recruiting throughout the year, we had been asked quite often why it was so necessary to have the CELTA qualification. Lewis Richards our Exams Director of studies is also a CELTA trainer, and he very kindly wrote a great article on ‘The Benefits of the CELTA’ and then we had an article explaining why some of our teachers and students on the 30 plus course found themselves in court. We could not have been more delighted to welcome back two star students who had been on our Pre-sessional course and had gone on to the University of Portsmouth and graduated. 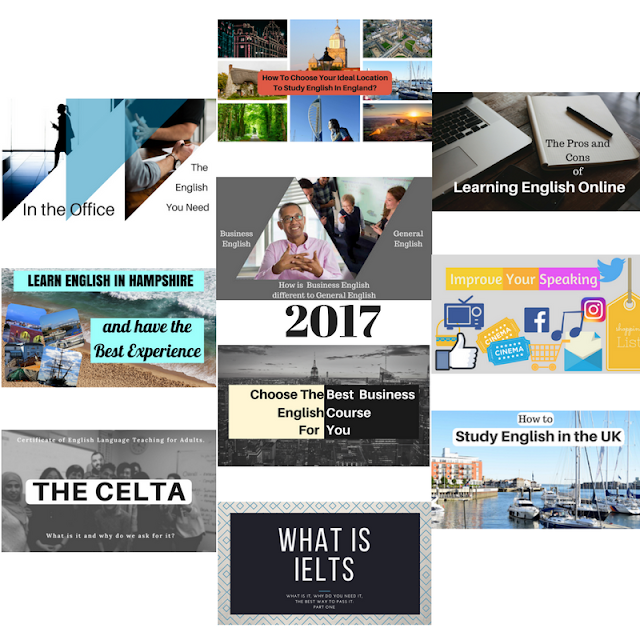 Then with all these online courses that we see available, we had a little article discussing ‘Whether the Best Route for YOU to Improve your English is to Learn it Online?’. August saw our new Social Programme organiser - Catt take her seat and lead the students to a new phase of fun. Our British Culture blog for August was on that most strange thing – ‘British Humour’. It tried to explain the peculiarities of our weird sense of humour, as far as it is possible. We had some superb candid photos to show off this month of fun during class. A new month which started with more new staff joining us. We had a lovely little ‘gift’ from a longer-term student. She wrote such a lovely blog about how much she had enjoyed her time and it was presented with some beautiful photos that she had taken while here. And to end the month we launched our video of students having fun on the social programme in London. We were completely gutted (really upset) to say goodbye to our magnificent reception manager Elly who left to go off on an incredible adventure – travelling by van around Australia earning her keep via her new web business. The one good thing that came out of this for us, was to be able to welcome back the delightful Sophie who replaced Elly as Reception Manager. October’s Culture blog was about the strange little ‘Quirky Differences Visitors Find When they Come Here’ – things, for example, like in the bathroom having two taps; one for hot and one for cold ;-). A little blog with advice on ‘How to Choose the Best Location to Study an English Course’ in, and finally the launch of our new online English club. ‘English for PAs’? What is it and how do you improve it? That was the advice blog this month, with lots of little tips on how people can help themselves improve their office English. Then came the ‘NHS’. In Britain it is well known that we believe it is a sacred institution, this blog attempts to explain why, and what it means to the man on the street. Gino Gino Gino! It is not often you get students like Gino, but we have been lucky enough to have had a ‘Gino’ for a little while now. Gino gave us a little interview explaining his thoughts on LSI and Portsmouth and studying English as a second language. It really is a joy to watch – don’t miss this video. Emma and Lea visited some of our old friends in Russia and made some new ones while they were there. They wrote up an account of their trip along with some wonderful photos – maybe the highlight is the ice palace. And the final month December! 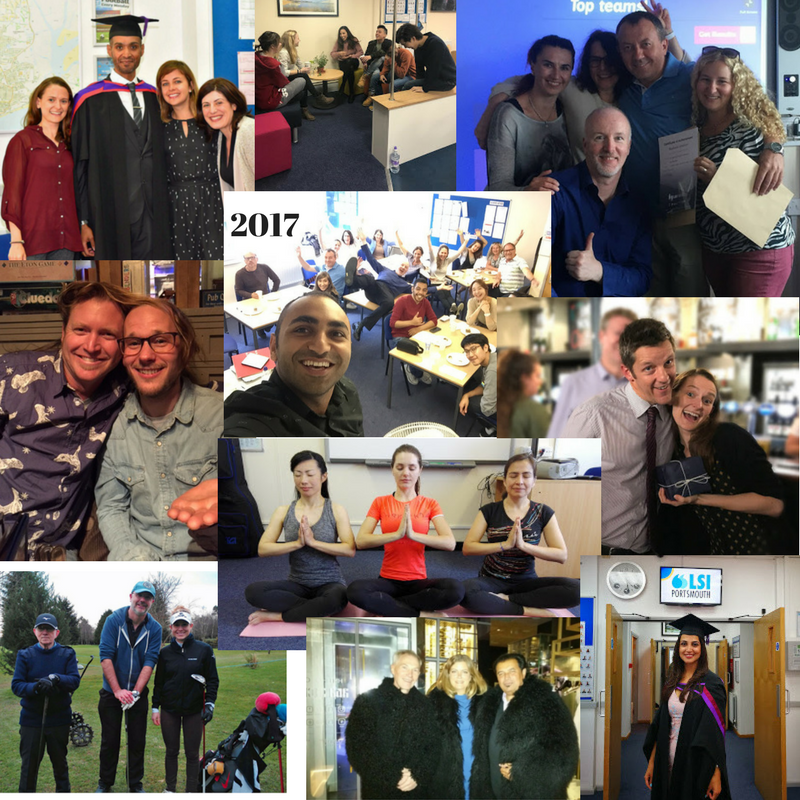 A little culture blog from Jeremy about Patron Saints, a little throwback post with some of the Social Programme student activity pictures and … then this post about all the marvellous things we have covered throughout the year. 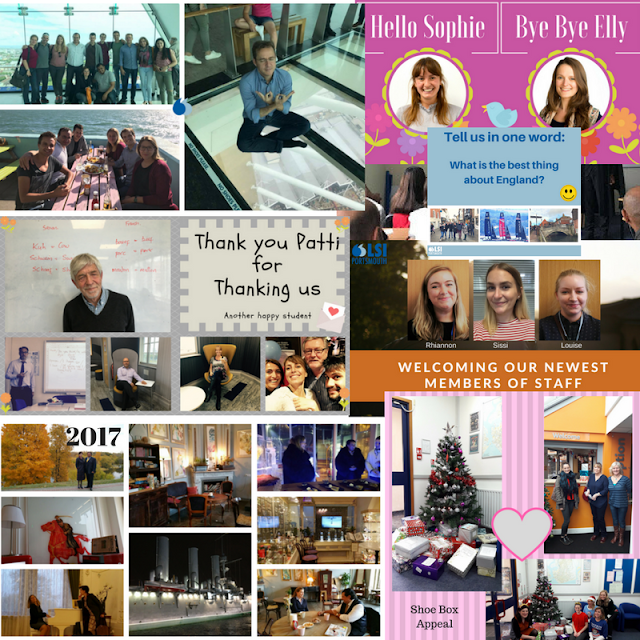 We at LSI Portsmouth would love to take this opportunity of thanking you for following us and wish you an amazingly Happy New Year.